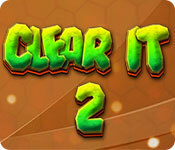 ClearIt 2 is rated 4.3 out of 5 by 16. Rated 5 out of 5 by elizadee from CLEAR IT FANS REJOICE!! I didn't hesitate to buy Clear It 2 after having played the original game. And I was not disappointed!! I was surprised each time I came across a new twist in game play and love the changes. We need more games like this!! There are no time limits, HOS or anything else to interrupt the pure fun yet becomes challenging as you progress through the game! For me, it's a good "go to" when I have a few minutes to spend or just want to get into something enjoyable for awhile. I highly recommend this game and its predecessor. Rated 5 out of 5 by Bumbles2 from OMGosh...this is quite a nice change !!! I just finished the Demo and was quite impressed...absolutely love it and plan on buying it come payday. 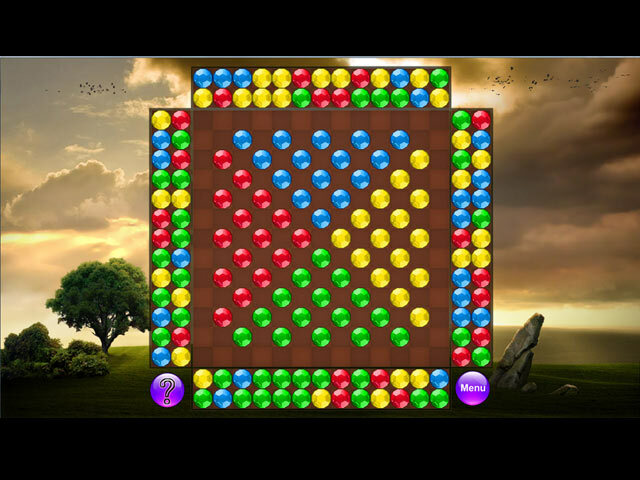 This is quite a simple game to play...you need to blow up all the balls in the middle of the screen by using the balls on both sides and top and bottom. Every so often a special ball will show up on the screen and by blowing it up with one of yours it will do one of several things....such as a Fire ball...an exclamation ball...a multicolored ball...which will aid you or hurt you. I hope I explained that correctly ... LOL Anyways a fun game to play with no timer...Yahooo !!! I'm pretty sure you'll enjoy this one...have fun !!! Rated 5 out of 5 by exact from the first clear it was great Love it, love it!! A relaxing thinking game, moves fast, nothing boring about this game! Rated 5 out of 5 by LunaNik from Challenging & fun strategic puzzle game! The premise is simple: Click on a marble around the edge, and it will shoot toward the center until stopped by another marble. The goal is to shoot toward like-colored marbles until you clear the board. Different icons appear on the grid from time to time, both in empty squares and on the marbles themselves. Some will help you; others will hinder you. The helpers include bombs that eliminate all marbles around them, fragmenting stars that shoot lasers to eliminate marbles around the grid, and a color-specific one that eliminates all marbles of that color. The only one that hinders (that I encountered during the demo) looks like a bunch of marbles; it will randomly add marbles to the board. It seems like it would be an easy game, right? 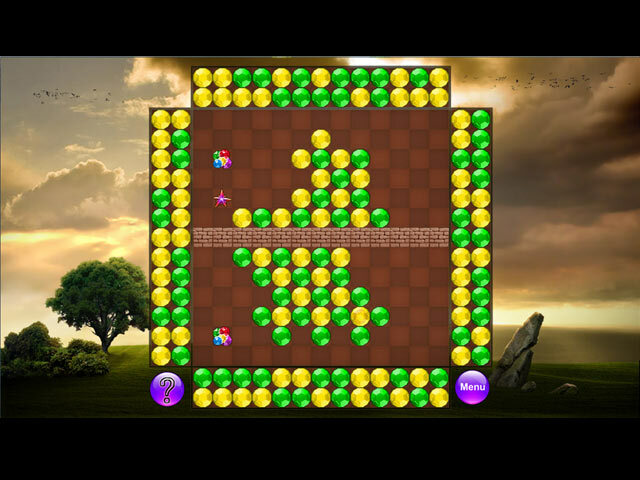 But the difficulty level increases by adding more marble colors, dividing up the grid with walls, creating difficult patterns, and limiting what shooting marbles are available. Sometimes, you have only a couple left, but none of the four marbles that line up with it match, so you have to be creative to reveal one that does. The only downside, as is typical of puzzle games, was the music, which I turned off. However, I decided to rate it five stars anyway, because I generally play my own music during puzzle games, so I didn't feel that repetitive music affected the gameplay or my enjoyment. One upside that I was happy to see is that there was NOT an unnecessary storyline adding time-wasting cutscenes. It's a puzzle game; it doesn't need a fairy tale land in imminent peril to muddle it. Rated 5 out of 5 by raydog from I love this game! I have the first Clear it and this one topped it. I love the new power ups and that weird molecule looking thing that adds more balls to the board. Try to avoid that thing in the higher levels is a challenge. These are a great series of games. I also love that it isn't timed. I'm tired of racing around trying to finish a level and then I just blow it! I hope they come out with more. As for storyline - there isn't any but who cares? Rated 5 out of 5 by SMQMC from LOVE IT!! I've been playing the original "CLEAR IT" since it came out and I can't seem to get enough of it. Over and over and over, but it never gets tired. This gives me a whole new outlook on the game and also more challenge. Wonderful! Rated 5 out of 5 by pennmom36 from TAKE ALL THE TIME YOU NEED TO CLEAR THESE COLORFUL BALLS There's no timer, no limited moves, so you get all the time in the world, to clear the balls! The object of this game is the same as in the first game, Clear It, again! The gameplay is simple, but the game itself isn't so simple. 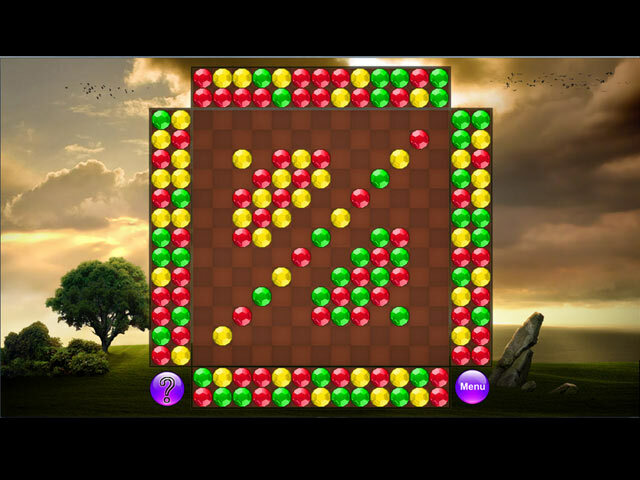 There are unlimited colored balls located on all four sides of the board, all you need to do, is select and click on a ball, which will travel in a straight line until it hits another ball (or power-up) If the selected ball hits a ball on the board that is the same color, they will both be destroyed. Using strategy however, allows you to destroy several balls in a single move. Each level usually has special balls that when hit with a ball, will be activated, such as a Star that will eliminate several random balls, a Fireball which explodes to destroy nearby balls (created by hitting flashing balls) an Exclamation ball that destroys all balls of the same color, and a Multi-colored ball which can either help you or hurt you by adding more balls to the playing field. There are 150 levels, and because the only object is to clear all the balls, without time restraints, and without any move limits, there is no score. Because there is no score, the levels continue one after another, so you won't have to wait for the game to load or click several icons just to get to the next level. Each level is slightly more difficult than the previous level, as more colors are added, there's less of a chance of getting the necessary colors. Sometimes you just have to sacrifice a few balls, by adding more to the equation, just to get to the colored balls you need. Clear It is a very addicting Marble Popping game, with increasingly more difficult levels. With 150 levels, this game will be well worth the price, in my opinion, I just hope I make it to level 150, enjoy!